§ Single leaf, manual withdraw type. 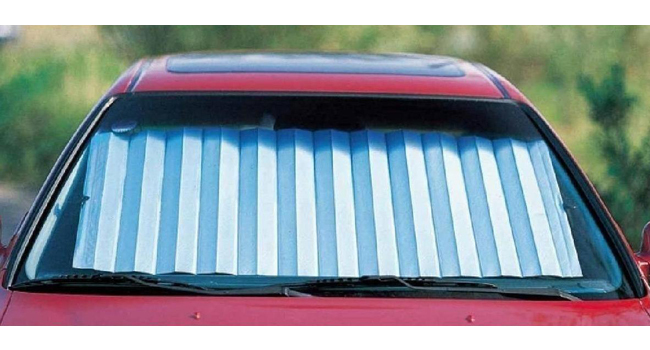 § Use two suckers hang sunshade on windshield both sides. § Material and color: Silver color, 100% PET metallized films.